Japengo at Hyatt Regency Maui Resort and Spa announces the 2017 Maui Tastemakers Series, which features new flavors, partners and even more dining experiences than previous years. 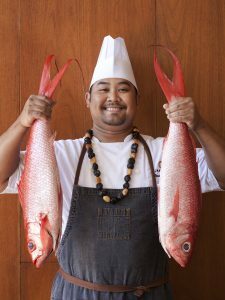 Celebrating the abundance and variety of quality foods and ingredients on Maui, Japengo’s Maui Tastemakers Series features a dining experience carefully crafted around and inspired by local partners. The Maui Tastemakers Series aims to showcase the outstanding food and drink of the area and personalities behind them in an intimate and interactive setting. 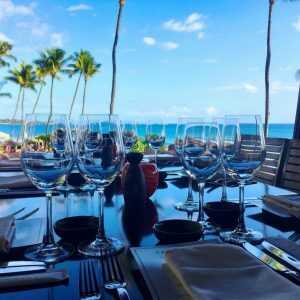 In past years, the Maui Tastemakers Series was offered as a private dining experience on select dates throughout the year. 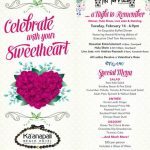 New this year, due to its popularity, Japengo will offer a Maui Tastemakers menu each Friday every other month available to every diner. 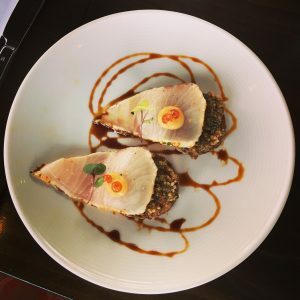 Each collaboration will present a unique multi-course, prix fixe menu carefully crafted to feature one of Japengo’s valued Maui partners, including farmers, artisans, fishermen, and beverage makers. Leading this year’s series are Japengo Chef de Cuisine Gevin Utrillo and Sushi Chef Jin Hosono, who will partner with local purveyors including Koholā Brewery, Adoboloco Hot Sauce, Ocean Vodka, Simpli-Fresh Produce, Maui Shrub and more to bring tasty, one-of-a-kind dining experiences to locals and guests in Kā’anapali. 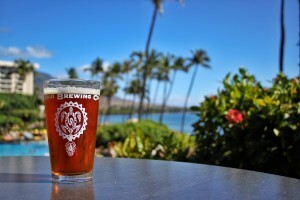 Beers from Koholā Brewery, a Maui Tastemakers partner. Courtesy photo. 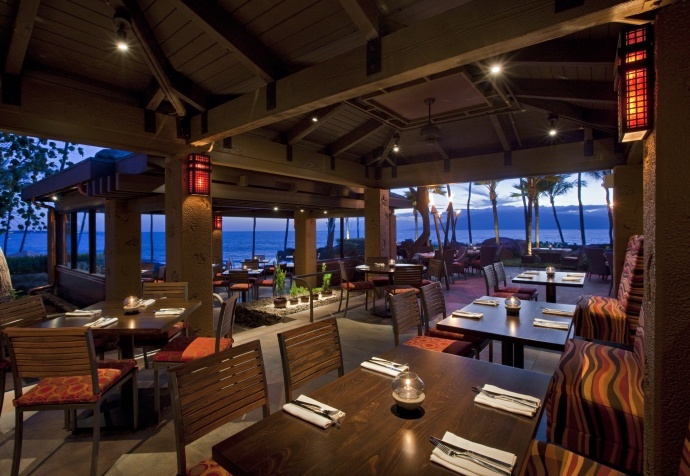 Food paired with Ocean Vodka, a local partner in the Maui Tastemakers Series. Courtesy photo. One of the courses during the Maui Tastemakers Series at Japengo, Hyatt Regency Maui. Courtesy photo. 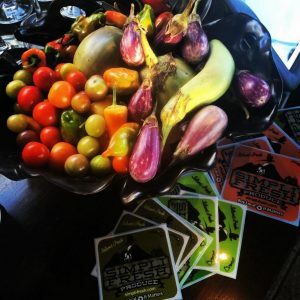 Simply Fresh Produce, a partner in the Maui Tastemakers Series. Courtesy photo. 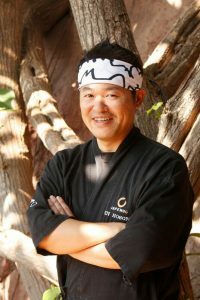 Chef Jin Hosono at Hyatt Regency Maui Resort & Spa. Japengo at Hyatt Regency Maui Resort & Spa. Courtesy photo. Food from Maui Tastemakers Series at Japengo. Courtesy photo. Ocean Vodka at Japengo for the Tastemakers Series. Courtesy photo. 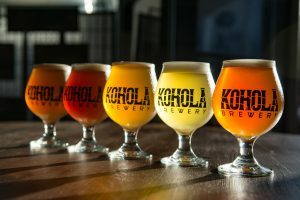 The 2017 series began in January, featuring Lahaina-based Koholā Brewery, a Great American Beer Festival award-winning brewery. The series heats up in March thanks to a collaboration with Adoboloco Hot Sauce and menu pairings of Kaua‘i sweet shrimp and Moloka‘i spot prawns. 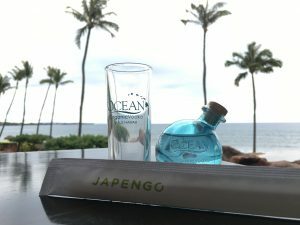 Continuing the series in May, Japengo will partner with Ocean Vodka, a third-time Maui Tastemakers favorite. The local organic vodka pairs craft cocktails with award-winning Japengo cuisine. 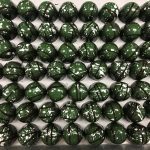 Another close partner, Simpli Fresh Produce, will team up with Japengo in July to offer a surprise menu based on the produce that is available to Japengo chefs fresh on each Friday that month. July’s Maui Tastemakers menu will be paired with cocktails featuring Maui Shrub Farm, a handcrafted drinking vinegar with unique tropical flavors. 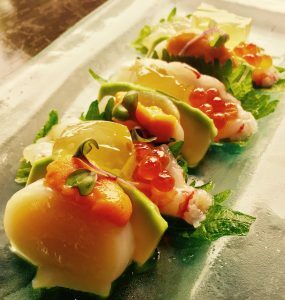 For more information about Japengo or to make a reservation for an upcoming Tastemakers dinner, visit the Japengo’s website or find Japengo on Facebook at Japengo Maui. 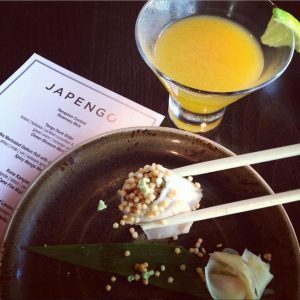 Japengo is open nightly featuring dinner and sushi bar service from 5:30 to 9:30 p.m., lounge service from 5 to 10 p.m. and happy hour between 5 and 6 p.m.